With recent hot temperatures we have found ways to keep you cool with easy icy popicile recipes you can make in your RV and the best rivers to canoe camp. Higher temperatures can also cause your tires to deteriorate faster. So we have got some great tips to help lengthen their lifespan. Summer is the best time for a family camping road trip. To help you pack, we've listed the best camping gear for kids and for classic family fun, the best campground mini golf courses. Today most people go on a road trip with a smartphone. So we've picked the essential apps to help you find the best campgrounds and RV Parks, to keep you entertained and to allow you to easily stay in touch with family and friends while you're away from home. When you ask people what they know about Tin Can Tourists, you'll likely get a befuddled look. 'Tin Can Tourists'? What's that all about? The answer, will surprise you, and might even impress you. The Tin Can Tourist club is the largest club of vintage trailer and motor coach owners and enthusiasts. This club has thousands of members spread across the U.S. with active members in Canada, Japan, and United Kingdom. However, there's more to Tin Can Tourists than just vintage trailers and their fans. Ice popsicles are excellent for beating the summer heat on a long road trip. They are cool and refreshing, they can satisfy any sweet tooth and ice popsicles can keep the kids occupied while sitting in the RV. Best of all, you can make popsicles in your RV with just a bowl, a sturdy fork, popsicle molds and a freezer. Here are some great recipes. Whenever you go camping, do you ever find yourself in awe with nature, with its profound beauty and wonders? Do you ever find yourself wishing that beauty to be preserved for your grandchildren and great grandchildren to witness? You are not alone - millions of Americans experience that, too. What you should know is that you don't have to stop at wishing as there is actually something you can do about it. What exactly? Voluntourism, that's what. Don't undermine the importance of good RV tires! They make sure that your RV is fuel-efficient and able to keep you and your family safe and comfortable during your RV trips. Taking good care of them can also help you save money because you don't need to replace them as often. Extending the lifetime of your RV tires is very easy to do. Here are five simple care tips. 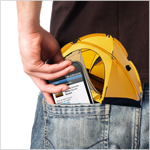 Even the most experienced campers have moments where they worry whether they have everything they need with them. But while you can just "deal" with it if you have forgotten some gear, everything changes when you are camping with kids. You have to be extra responsible and make sure you pack all the things you need or else you could end up with a ruined trip as you cannot simply ask most children "to deal with the situation" and expect them to still enjoy it. There is nothing like a game of mini golf to make a camping road trip a whole lot more fun for the family. It is an activity that the whole gang will enjoy and to help we have rounded up some of the best campground mini golf courses for you.